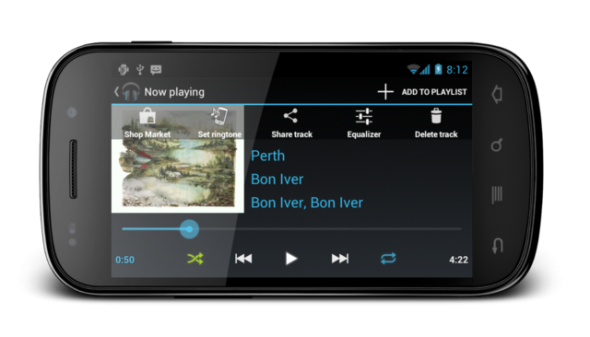 We’ve included Android 4.0 Ice Cream Sandwich as one of our favorite pieces of tech for 2011. The main reason Android made it to our shortlist and into our hearts is that because it is an open source project, third-parties are able to use it and build on top of it. If there is something more you want from you mobile OS, or you want to get rid of some annoying feature, chances are there is either an aftermarket ROM, third-party launcher, or an app to do that. One of the most popular aftermarket ROMs comes from the CyanogenMod team, with support for a huge number of devices.The team has promised to release the updated CyanogenMod 9 (CM9) based on Android 4.0 Ice Cream Sandwich in early 2012, and pieces of ROM are already finding their way to devices, showing us what CM9 will look like and be able to do. 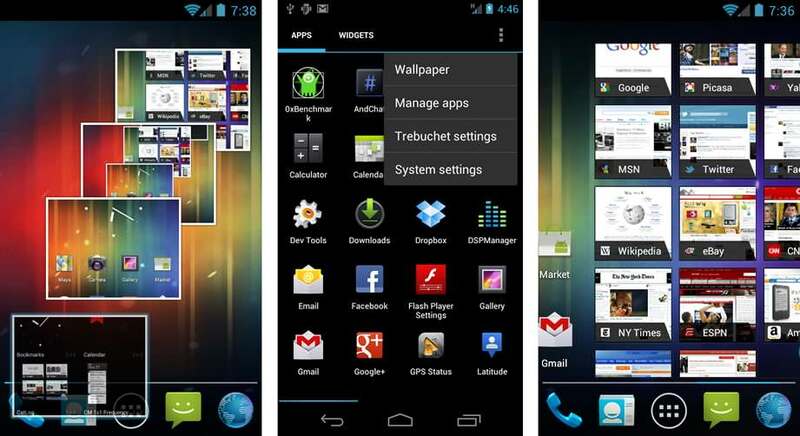 The first piece of the puzzle is the new launcher, that you can see above, named Trebuchet, which, if you are running Android 4.0.3+ and have root, you can download as an APK file and try out now. It’s still an early build, so don’t expect everything to by rosy, but we like what see in terms of customization. You can customize the number of homescreens, disable the persistent Google Search bar, resize any widget and sort apps in folders among others. You can find more info and instructions over at XDA Developers. The CM team, is pondering on releasing parts of CM9 as standalone apps in the Android Market, so that anyone can enjoy the team’s efforts. Over at The Verge, they’ve got some further info on the music player to by included in the ROM, which is said to have customizable controls, ability to theme the app, custom shake actions (e.g. shake to skip to the next song), swipe actions throughout and options to share tracks. Best part of all these, is that you won’t have to wait for your manufacturer or carrier to upgrade current and older Android devices to ICS, chances are CM9 will beat them to it.